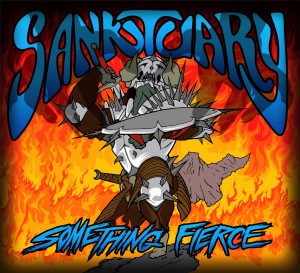 Canadian power thrashers Sanktuary have just released their first single off of their upcoming debut album "Something Fierce". The album is due to be released July 2nd via Spread the Metal records. You can hear the track and find all info on the release below. The track gives us lots of promise and potential for the rest of the album, I won't be surprised if Sanktuary lives up to the name and brings us something fierce this summer.